We offer professional moving labor, moving help services, for the Do-It-Yourself mover in the South Florida area. Our moving labor personnel will Load or Unload your Moving Rental Trucks - Moving Vans - Moving Pods - Moving Containers - Overseas Crates and Self Storage Bins anywhere within Palm Beach Fl, Palm Beach County and all of South Florida. CALL Palm Beach Florida Movers . for the best moving labor help in South Florida. and professional movers to perform all of your moving labor, moving help needs. Our Moving Labor, Moving Help Network is second to none in the Palm Beach Fl and Palm Beach County area. Our moving help services and moving labor professionals work for us and we are not brokers. 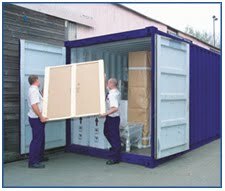 We handle all types of commercial and residential relocation. Our moving labor, moving help services are available to out of town movers, long haul trucking companies, do-it-yourself movers and local business. The “Moving Man” will provide skilled moving labor to load and unload your rental moving truck, moving pod, moving crate, moving container, and self storage unit. • Thorough - Attention to Detail. We come with Hand Trucks, Heavy Duty Furniture Dollies, Furniture Blankets, screw drivers, wrenches, and etc. READY TO WORK. We assemble everything! Professional, experienced assemblers. We turn a box of headaches into beautiful, quickly completed projects. Exercise Equipment, Game Tables, Grills, Kitchen Furniture, Bedroom Furniture, Patio Furniture, Etc... OUR MOVING HELP LABOR WILL DRIVE TO YOUR LOCATION AND HANDLE PACKING, LOADING AND UNLOADING - STAIRS ARE A PART OF MOVING AND WE DO NOT CHARGE EXTRA. We move locally throughout PALM BEACH COUNTY including Boca Raton, Sandlefoot, Delray Beach, Boynton Beach, Parkland, Lake Worth, West Palm Beach, Palm Beach, Wellington, PGA, Juno Beach, Jupiter, Royal Palm Beach, Riviera Beach, Belle Glade, Wellington, Stewart, and even up to Port St. Lucie and all of Martin County. We offer free estimates and quotes by the hour as well as fair flat rates. Due to the nature of our business, we operate 24 hours a day 7 days a week. We are always open and working.